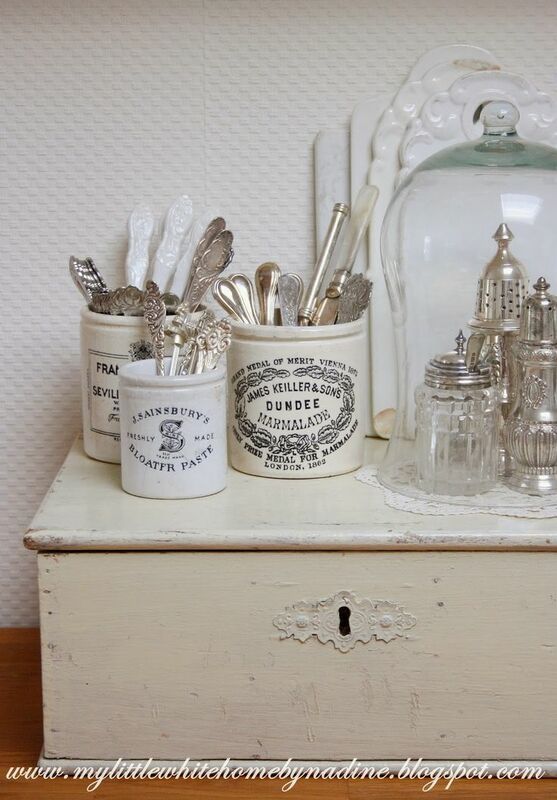 Though many of us may not acknowledge it, the kitchen is often the birthplace of many of our artistic endeavours. 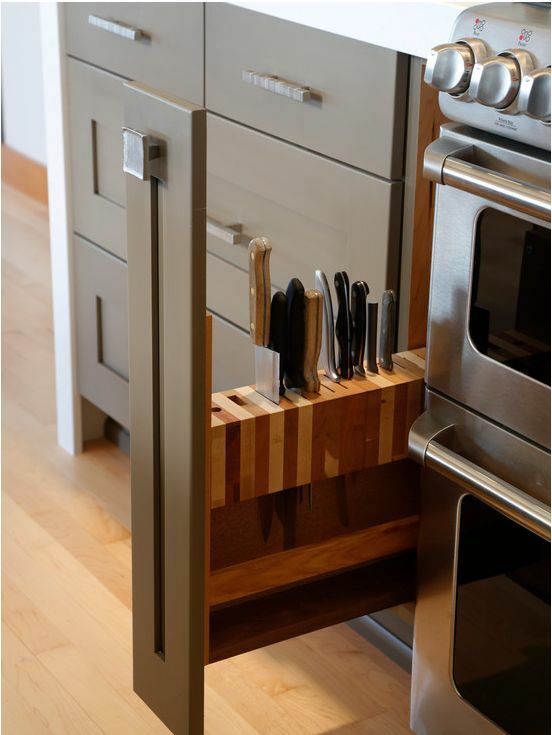 It should not be surprising at all, given that the kitchen does tend to feed our senses in many aspects like the sense of smell, the sense of touch and feel, the sense of sight, and also the sense of taste. 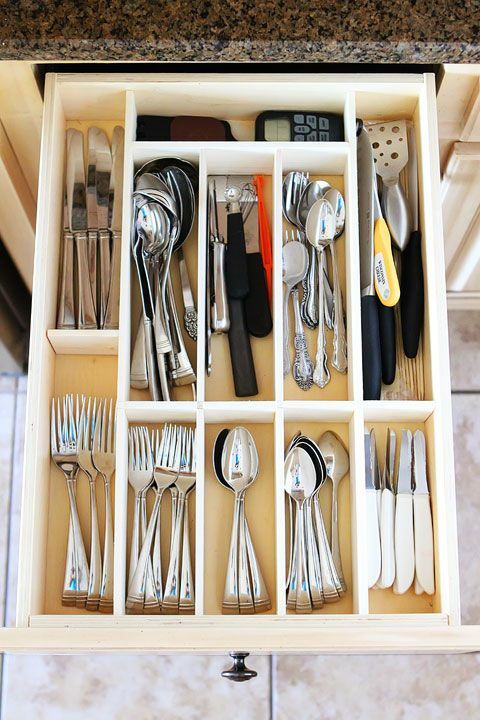 That is why it should not surprise you at all to know that many aspects associated with the kitchen like the storage of cutlery can also be an art form. 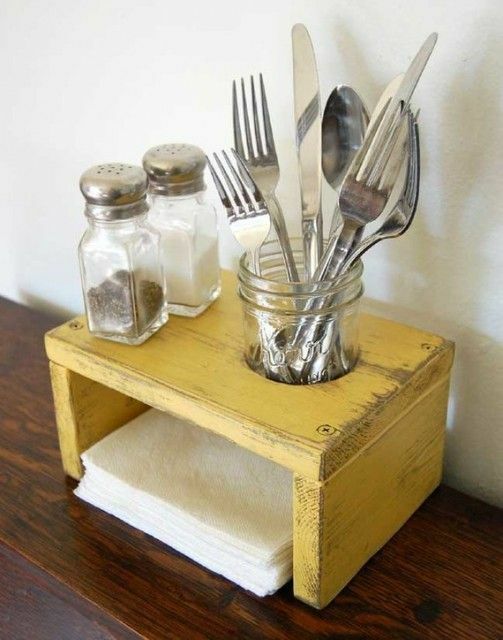 There are impossibly genius table ideas for daily use that can be described in no other way than as an art form. 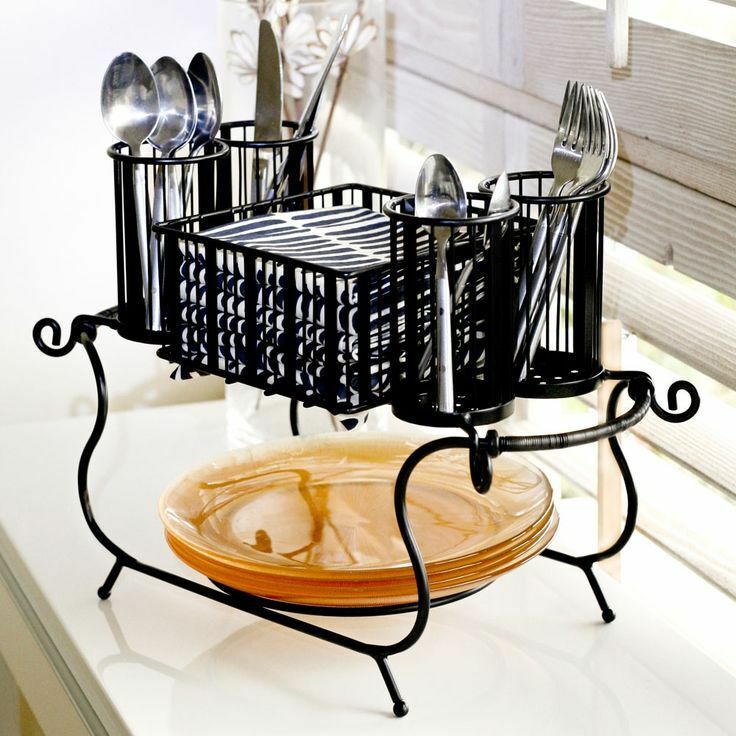 When you get right down to it, there are many aspects of art that will work at not only making your home pretty but also more convenient. 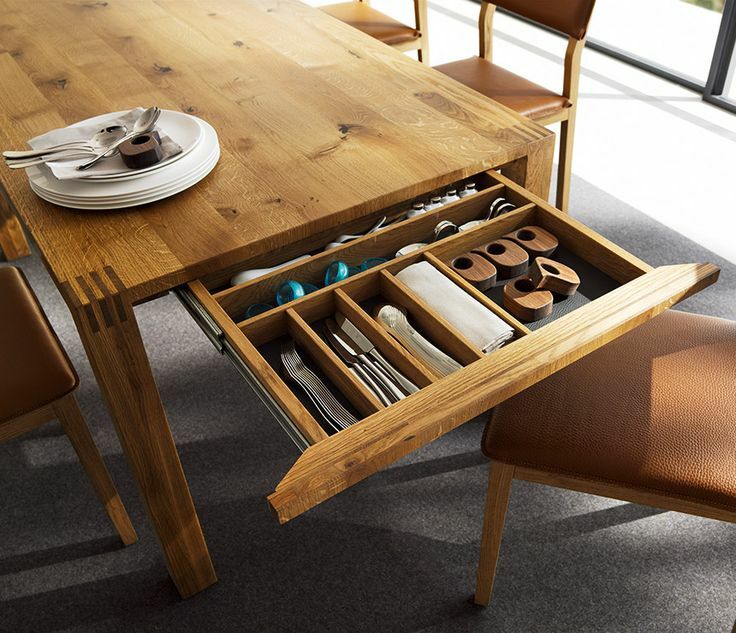 There are many smart space saving ideas for your home that will make it seem like nothing but a smart art form and they are that but even more a result of practical and clever thought. 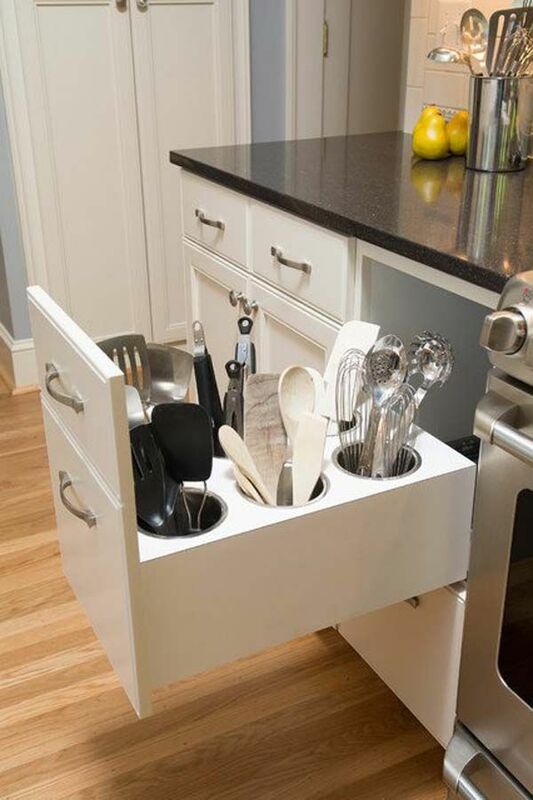 You do have many ideas to make your kitchen unique and convenient for you that you should consider. Sometimes the idea for making something artistic enough to display it for all to see is right there but we oversee it. 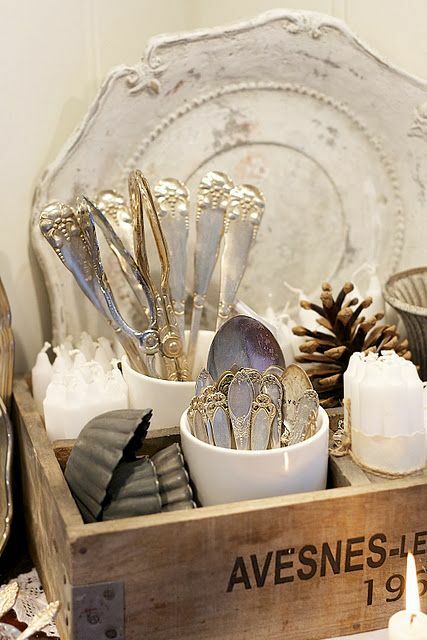 But cutlery should be fairly obvious – in most homes, cutlery is cleaned and polished as and when it is used. 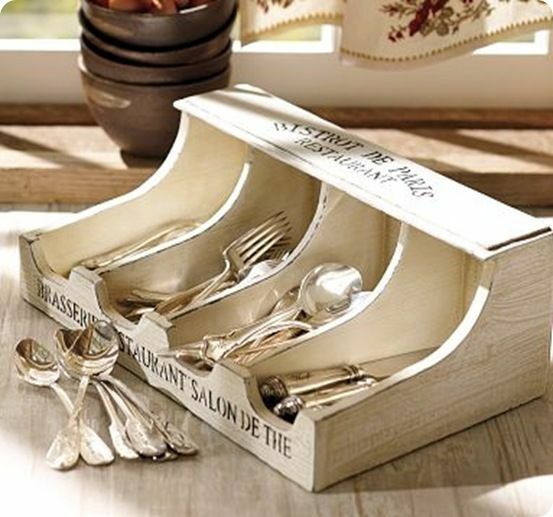 This means that it is nice and shiny so as to be displayed. 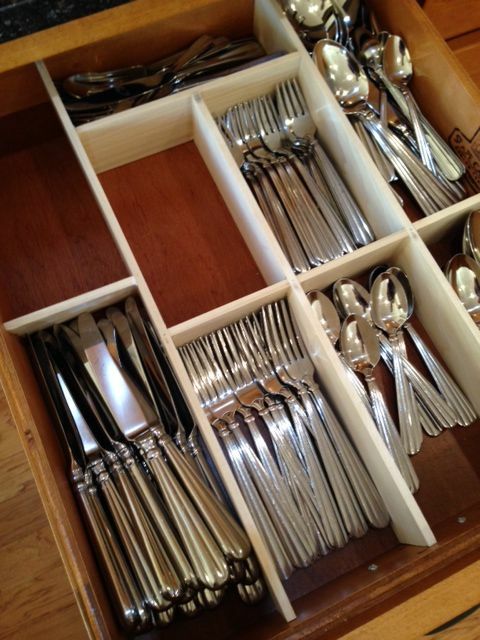 Then why not work on the storage of cutlery in such a way as to make it convenient and also aesthetically appealing. 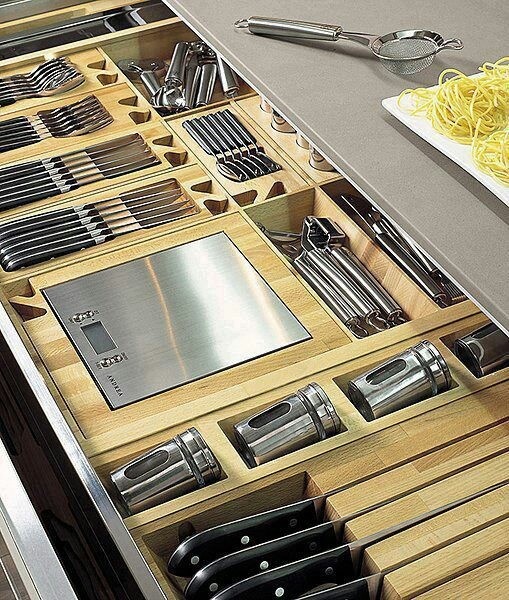 This too is an art form albeit one that is practical and utilitarian. 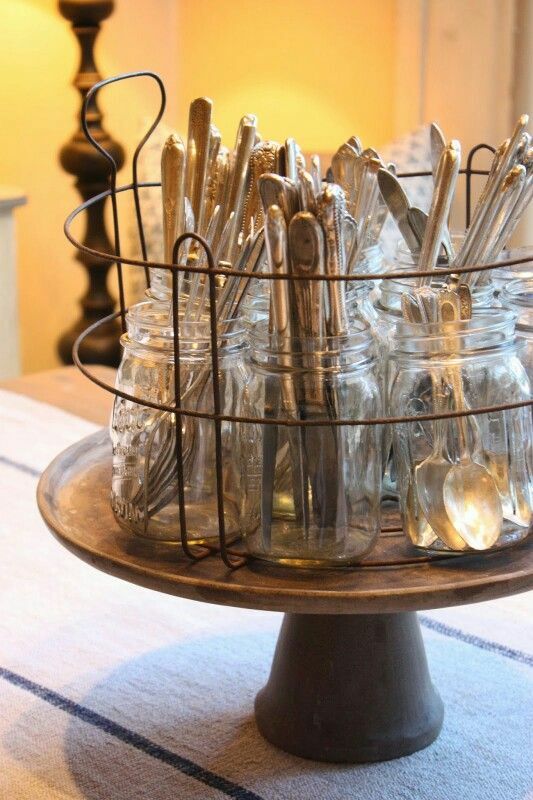 In glass jars: This idea of storing cutlery may sound old fashioned and clichéd but you would be surprised in how many ways this basic arrangement can be moved around and arranged. 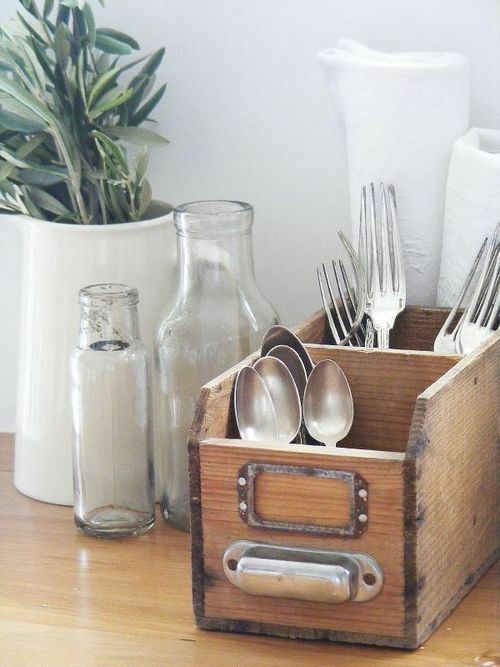 For instance, you can have glass jars placed around a wooden platter in which you can place your cutlery. 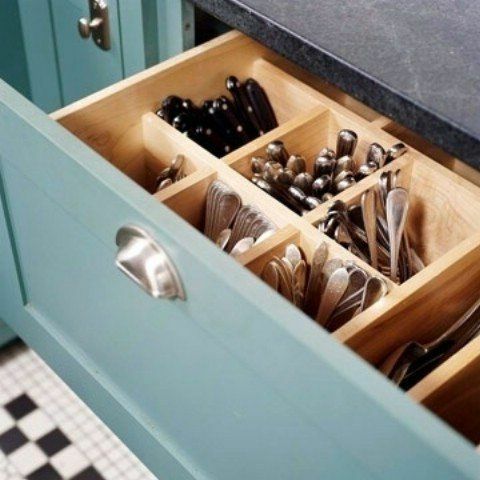 If you do not like this, then you can have the glass jars fixed to some wooden bars on the wall and place your kitchen implements and cutlery in it. 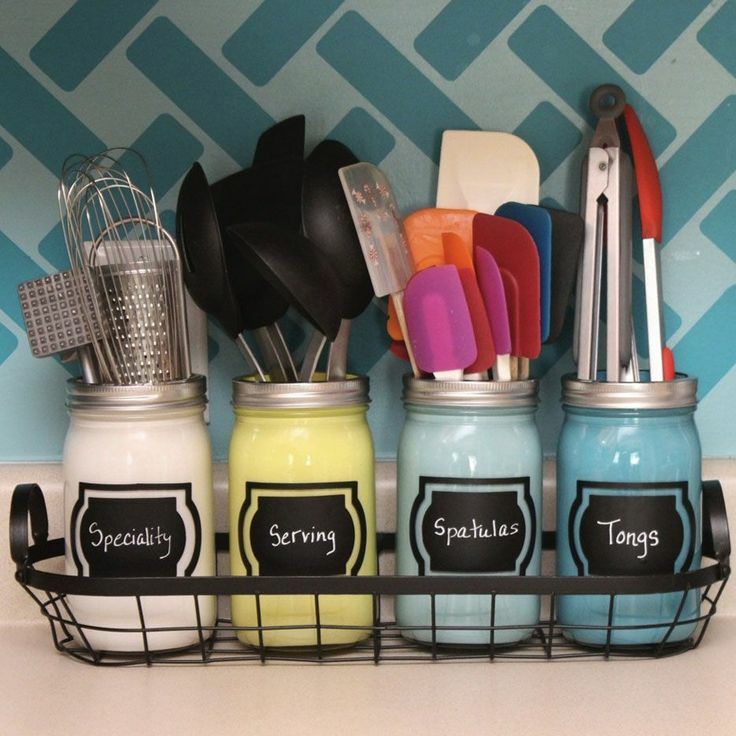 Or emulate a spice rack with glass jars inclined with their openings facing upward and outward making it easy to place your cutlery in them. 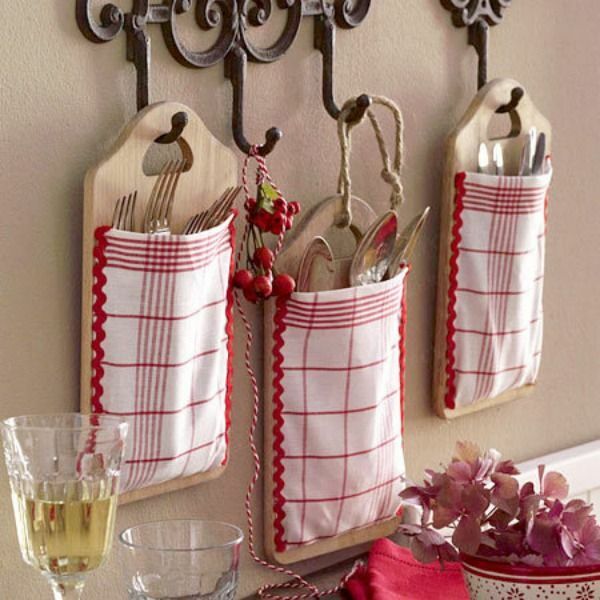 In a letter holder: Remember that old cloth letter holder that used to have different cloth pouches stitched on it to hold letters, circulars, bills and notices? Well, we are sure that it has either been thrown away or just lying around unused. 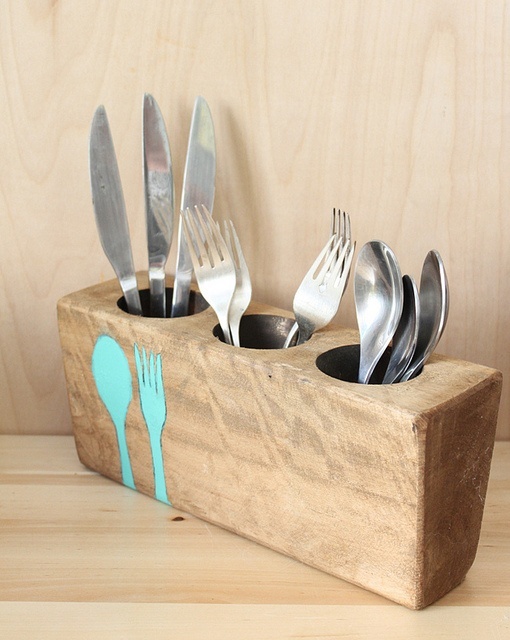 Why not use all those cloth pouches in one place to put your cutlery in. 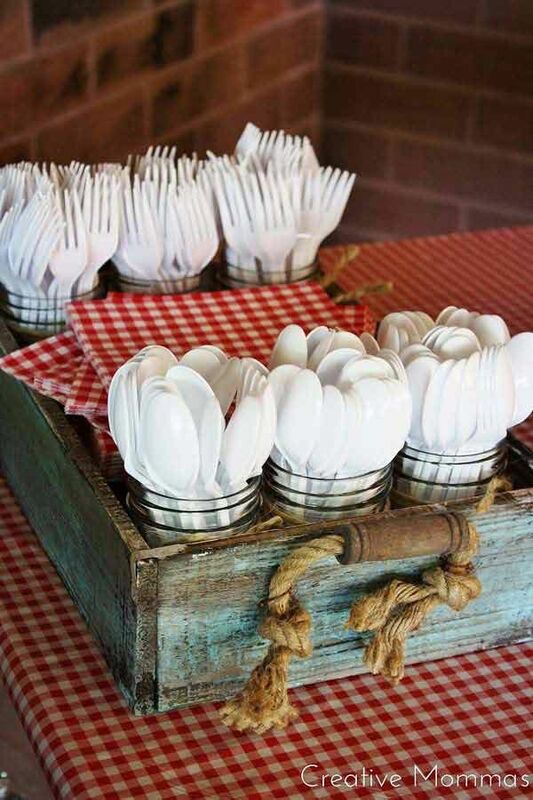 in fact, this idea will work out very well given that the cloth will even absorb any moisture on the cutlery. 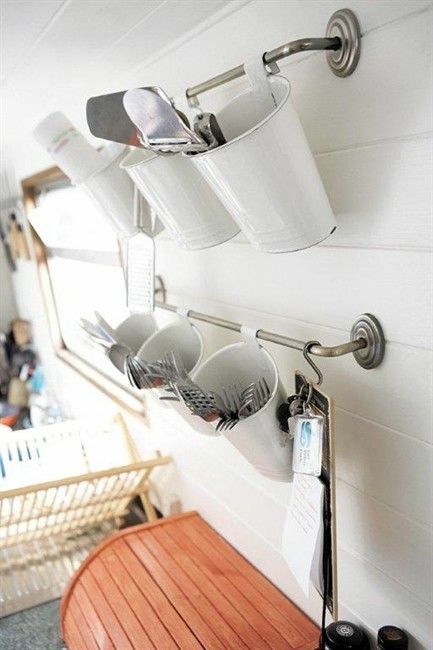 In flower pots: From the ordinary let us move to the unusual and this idea is definitely that. 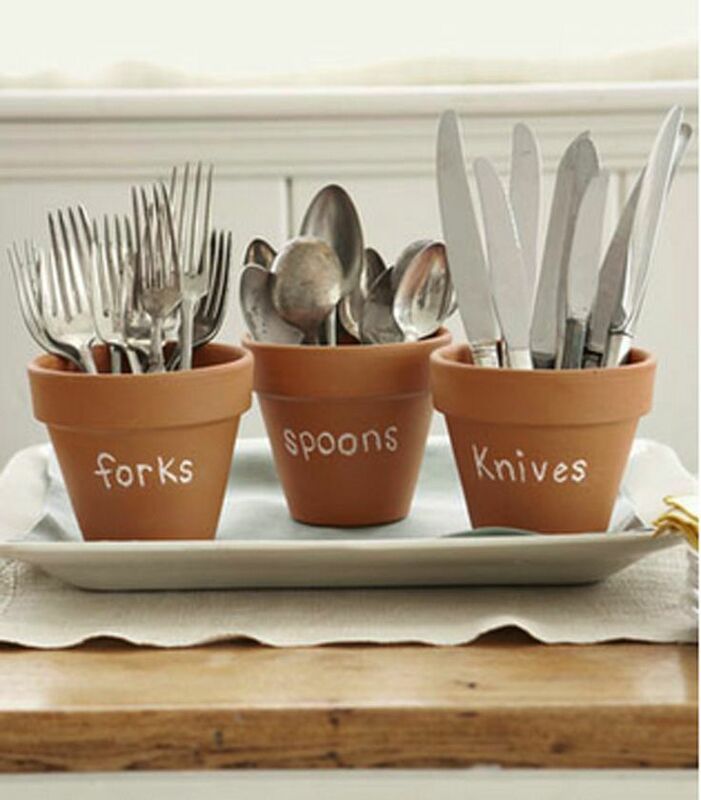 What else would call it if you planted cutlery in flowerpots instead of flowers. Not that they are going to blossom and grow but imagine if they could; well that is another topic entirely but this is a good idea, isn’t it? 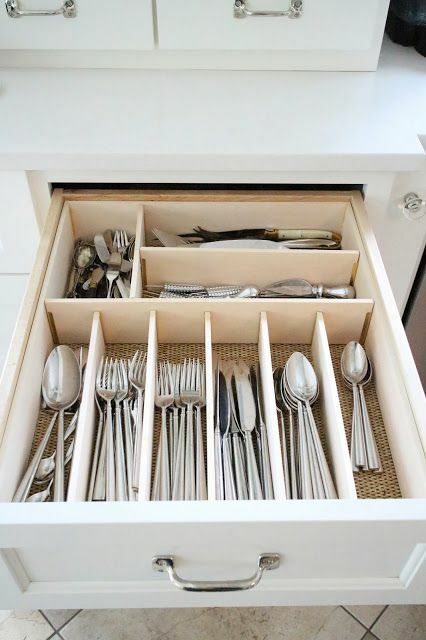 In wooden drawers: This again is a conventional idea but not without its creative twists and benefits. 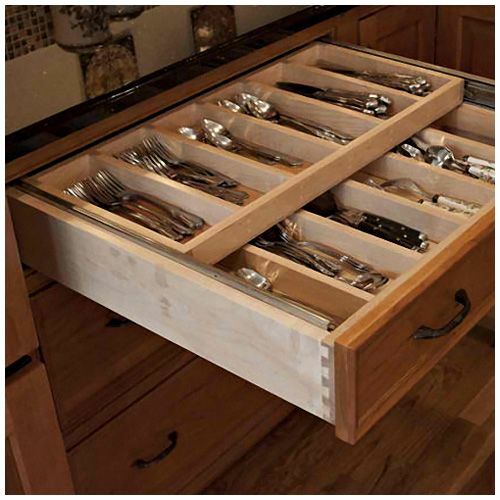 The foremost benefit of using wood is that it looks good and is relatively noise free when you open and close drawers or small cabinets. 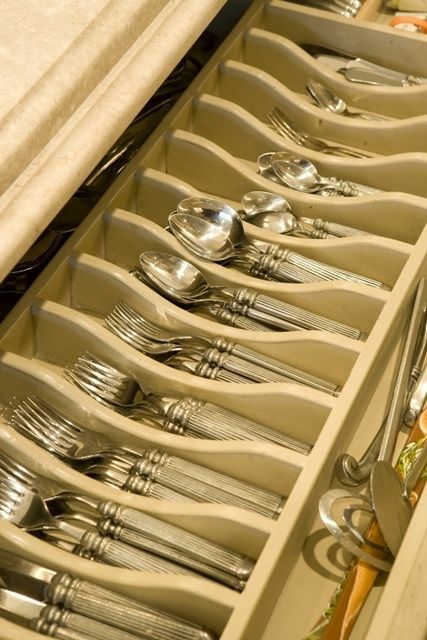 Which idea of storing cutlery do you find the most appealing? Do let us know.